MINGALABAR and WELCOME to our latest news with a further update on our plans for this year’s event in November, another feast of engrossing literary and cultural activities for visitors from Myanmar and beyond. TO RECAP, the fourth Irrawaddy Literary Festival will be held at the beautiful Mandalay Hill Resort Hotel, Friday 3rd – Sunday 5th November 2017. If you haven’t yet BOOKED ACCOMMODATION, get in touch soon to take advantage of the special rates for Festival guests. CONTACT mhrh.reservation@gmail.com for further information. We continue to build a fabulous FESTIVAL PROGRAMME featuring around 100 Myanmar authors and 30 international writers. U Nay Oke, participant at TEDx InyaLake, where he presented Love Poems: How love enriched Myanmar’s literature forever, about the love poetry written by his mother, Khin Saw Mu, who died soon after his birth. 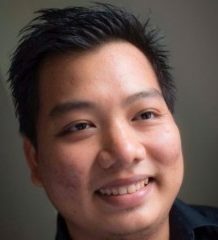 Myay Hmone Lwin is an author and publisher, his own works including poetry, novels and short stories as well as a significant anthology of Burmese writing from Iowa. He is also the Founder of NDSP (Ngar Doe Sar Pay, meaning ‘Our Literature’) publishing house and Yangon Book Plaza, and he has been shortlisted for the ‘Freedom to Publish’ Prize. Keggie Carew, author of Dadland, the extraordinary story of her father, Tom Carew, a war hero celebrated as ‘Lawrence of Burma’, the youngest officer ever to be awarded a Distinguished Service Order. Dadland has been described as a ‘mesmerising performance by a natural storyteller gifted with the most seductive material possible’. It won the Costa Award for Biography in 2016. Alice Pung is highly acclaimed for a memoir about her father, Her Father’s Daughter, a remarkable account of his experiences in the Killing Fields of Cambodia. 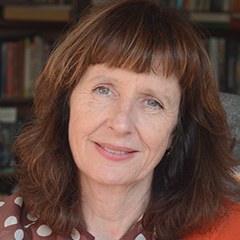 Alice’s work includes a novel, Laurinda, and a coming-of-age memoir, Unpolished Gem. She is also an award-winning journalist and essayist. Alice is Artist in Residence at Janet Clarke Hall at the University of Melbourne. The Irrawaddy Literary Festival is a UK registered Charity (Registered charity number: 1168517) with entirely philanthropic goals, such as bolstering free speech, improving literacy, and providing a forum for interactions between international and Myanmar authors. No salaries or fees are paid to anyone involved with the Charitable Trust. All funds raised are devoted to producing a three-day long programme of events which is completely free of charge and attracts visitors from all over Myanmar and, increasingly, overseas. Core Myanmar sponsor, Max Myanmar Holdings, providing crucial support for the third consecutive year, is now joined for the 2017 event by KBZ Bank as the Festival’s second core Myanmar sponsor. Internationally, the Festival is building on successful sustainable relationships already forged with Embassies in the region (principally the U.S.), esteemed Universities, Melbourne and Manchester (MMU), and is very grateful to local hosts Sedona Hotel and Mandalay Hill resort Hotel for their generous support, the latter generously hosting the Festival venue for the third consecutive year. 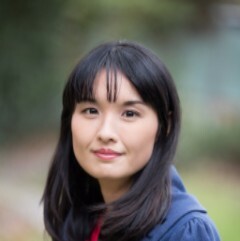 The University of Melbourne is a generous long-term supporter of the Irrawaddy Literary Festival, sponsoring four authors / academics including Alice Pung. Other educational partners include The Manchester Writing School at Manchester Metropolitan University, whose 2017 delegation to the ILF will be headed by Britain’s Poet Laureate, Dame Carol Ann Duffy. More details in the run up to the Festival.